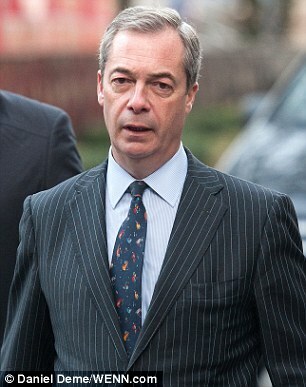 « The Nigel Farage Cult Is Wearing Thin! Ukip’s Racist Questionaire Is No Game Changer – Just more of the same for a party where racism in many forms is endemic. when you note that over the years, despite spending a great deal of money received from the public purse, Ukip’ lack of leadership and consistently incompetent Press Office seem never to be able to manage PR by way of ensuring informative stories showing Ukip in a good light feature in the media. I appreciate that Ukip, despite many £Millions of our money being spent, have achieved very little of benefit on behalf of their cult like followers, but the press office endlessly pour oil; opn fires and rarely seem able to place plausible rebuttals of adverse stories. All too often Ukip Press Office become the story, in their ineptitude! 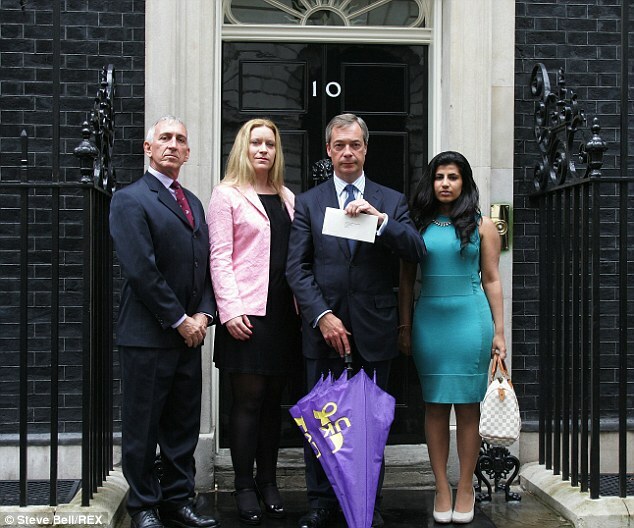 Nigel Farage was in another race row last night after asking supporters to rate ‘blacks, Muslims and Eastern Europeans’ in a game – with prizes of cash and a Ukip golf umbrella. The ‘rate an immigrant’ survey is part of a Ukip private survey of members aimed at helping the party draw up its policies. Sent last week by Ukip chairman Steve Crowther, it asks members to say ‘how close they feel’ to a number of groups. They include ‘Blacks, Asians, Muslims, English, Eastern Europeans and Whites’ as well as the four main political parties. But the survey was slammed as a racist stunt after details were leaked to The Mail on Sunday. Last night, senior Labour MP Margaret Hodge condemned the Ukip survey as ‘shocking’. Mrs Hodge, who won a campaign against the BNP in her Barking constituency in east London, said: ‘This openly brings race into politics. It’s shameful, it’s shocking and it’s offensive. ‘It lifts the lid on the unacceptable face of Ukip.’ The survey comes after a series of claims of racism involving Ukip, although Farage has insisted ‘stupid or offensive’ comments by a handful of candidates ‘never have and never will’ represent the views of his party. The aim was to ‘use the insights to strengthen the Ukip operation… Your responses will be invaluable in making sure we fulfil our promises over the coming years – and in government! Parliamentary candidate in Grimsby Victoria Ayling was recorded saying ‘let’s keep the blacks out’. Council candidate Andre Lampitt said Africans should ‘kill themselves’. Council candidate William Henwood said Lenny Henry should ‘emigrate to a black country’. Exeter activist David Challice denounced the ‘lunacy of multiculturalism’ and called Greeks ‘vile’. Town hall candidate David Wycherley said Mo Farah was African, not British. A Ukip spokesman denied the survey was racist, claiming every major employer carried out similar research of their staff. This entry was posted on 13/12/2014 at 23:38	and is filed under UKIP. Tagged: Anti Islamic Ukip, EU, Gerard Batten Racist, GL-W, Greg Lance-Watkins, Greg_L-W, UKIP, Ukip PR, UKIP Press Office, Ukip Racism Racism in Ukip, UKIP Un-professional. You can follow any responses to this entry through the RSS 2.0 feed. You can leave a response, or trackback from your own site.